To receive a free membership for your 7th grader, you (a parent or legal guardian) may preregister them online HERE or in person between Feb. 12 and Mar. 1, 2019. For the membership to be activated a parent or guardian must complete the registration in person by March 1st. From 5 to 9 p.m. on March 1, the Y will host a huge kickoff party during First Friday Downtown. If you haven't filled out final paperwork, provided proof of eligibility, and picked up their 7GI membership keytags, you may do so at the Kickoff Party. To celebrate the 7th Grade Initiative launch, we will be hosting a party from 5 to 9 p.m. on March 1, during First Friday downtown. If you haven't filled out final paperwork, provided proof of eligibility, and picked up their 7GI membership keytags, you may do so at the Kickoff Party. There will be activities, music, food, and a free Nerf Night! Food and beverages will be provided by Gabe's Pizza, Kokomo Coke, Dos Molinos, and Gingerbread House Bakery! We would like to thank the FCA Foundation, the charitable arm of North American automaker FCA US LLC and a private donor, for helping provide this opportunity for the 7th graders of Howard County. With this generous grant the Y will make accessible the support and opportunities that empower these youth to reach their personal potential. Seventh grade is an exciting time in children’s lives, as they prepare for or have already begun their new role as a teenager. They are finding themselves, deepening friendships and are increasingly more curious about the world, but research shows this is the time when their risk factors greatly increase. It is for these reasons that the Kokomo Family YMCA is pleased to announce the kickoff of the Y’s 7th Grade Initiative. Through generous donations from the FCA Foundation, the charitable arm of North American automaker FCA US LLC and a private donor, the Y will offer free memberships to Howard County 7th graders, allowing it to reach outside of its walls and open doors to area youth. Christine Estereicher, FCA Foundation CEO and Director, State Affairs, Civic Engagement & External Affairs, FCA US LLC said the foundation cares deeply about helping young people and building strong, sustainable communities. “We are very pleased to partner with organizations like the YMCA of Kokomo, which provide young people with the support they need to help guide them along their journey to becoming successful adults," said Estereicher. “Today’s announcement is also evidence of our continued commitment to the region.” FCA US, which employs more than 8,200 employees in the area, was among the key contributors to the Y’s 2013 capital campaign to create the new downtown facility. “The Y will offer memberships to all local 7th graders preregistered through the program,” said Trish Severns, CEO of the Kokomo Family YMCA, “because the Y knows how much safe spaces and positive influences can combat unhealthy behaviors. Risk factors and influences that have been shown to increase the likelihood of unhealthy behaviors include substance abuse, delinquency, teen pregnancy, school drop out and violence. It is during the early teen years that youth begin to distance themselves from family and positive support," said Severns. The Y will make accessible the support and opportunities that empower these youth to reach their personal potential. It will also provide youth with the knowledge, skills, character, and passion to be more active in the community as adults. To receive a free membership, a parent or caregiver may preregister their 7th grader in person or online at kokomoymca.org between Feb. 12 and Mar. 1, 2019. From 5 to 9 p.m. on March 1, the Y will host a huge kickoff party during First Friday Downtown where families may fill out final paperwork, provide proof of eligibility and pick up their 7GI membership keytags. 7th graders who participate in this initiative will have an opportunity to swim, play basketball, use equipment and participate in select classes at the Y; participate in monthly teen-centered events at the Y; will have access to Family Prime Time, which will allow their whole family to visit the Y during select hours; and more. 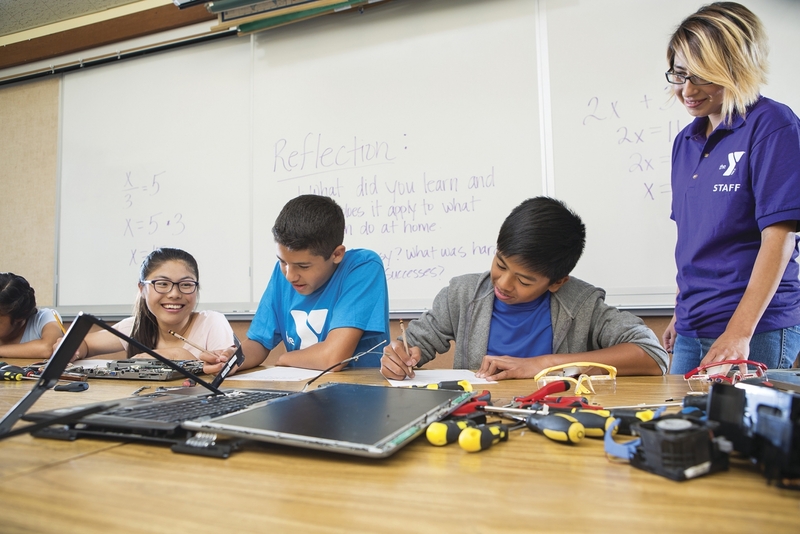 The 7th Grade Initiative supports the Y’s cause of strengthening the community and making sure that everyone, regardless of age, income or background, has the opportunity to learn, grow and thrive.